Click the links for additional information. Visit my NEW Syrinx Press page to purchase my sheet music online! Welcome to the website of Vancouver-based Canadian composer, Elizabeth Knudson. Ms. Knudson has been composing since the age of two, and her passion to create music has only grown with time. 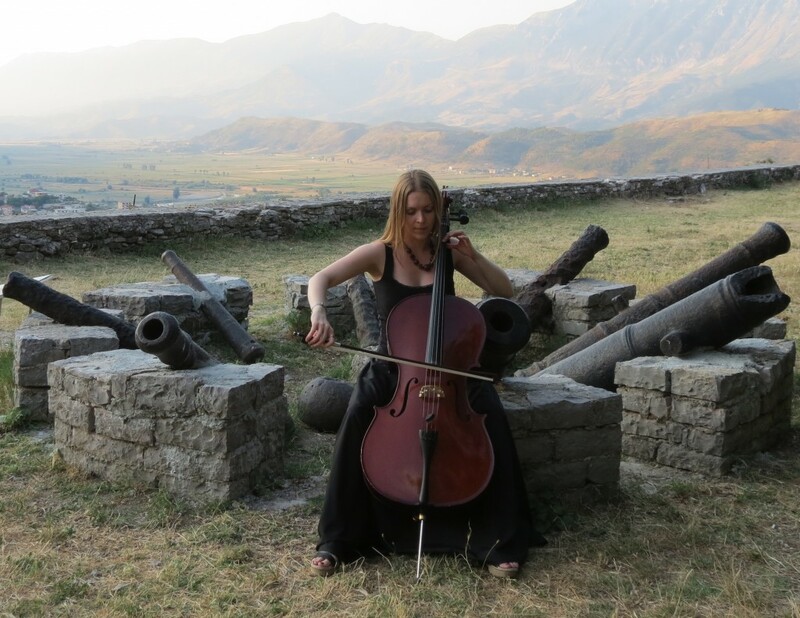 Having completed her Master’s degree in 2006 (from the University of British Columbia), she has been freelancing for the past decade as a composer, music instructor, and cellist. Elizabeth’s musical interests and experience encompass a wide spectrum, from choral, chamber, and orchestral works, to electroacoustic sound design, to collaborations with film, theatre, dance, and performance art. World music is also a deep interest: Elizabeth has studied and performed with a Javanese gamelan ensemble, a Scandinavian folk music group, a Celtic group, and has traveled three times to the Balkans (as a cellist, composer, and guest lecturer), and for the past couple of years, has been studying sitar privately. Her main instrument, however, is the cello. Ms. Knudson is active as a private cello/composition/music theory instructor (through her home studio, and also Saint James Music Academy). As a cellist, she is currently involved with the West Coast Symphony, and is a founding member of the Syrinx String Quartet. Elizabeth is an Associate Composer of the Canadian Music Centre, as well as a member of the Canadian League of Composers, the Association of Canadian Women Composers, and SOCAN. She is also currently Composer-in-Residence of Allegra Chamber Orchestra. If you are interested in commissioning a new work, performing or programming an existing work, or collaborating on a project, Elizabeth would be very happy to hear from you. For more information about sheet music available for purchase/rental/loan, please visit the publications page. Keep up to date with exciting news! Sign up to receive an e-newsletter update of upcoming premieres & other exciting news. Your email will be kept strictly private, and only used for the purpose of sending you occasional musical updates (usually only about 2 or 3 times per year). If you no longer wish to receive updates, you may unsubscribe at any time. 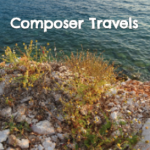 Starting with a trip to Albania in 2013, Elizabeth has been documenting some of her composing-related travels. To follow her musical adventures (2013-present), click on the image below, or follow the blog link here.